It takes a village to raise a child. 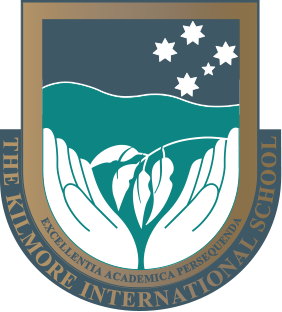 The Kilmore International School takes great pride in its sense of community. Junior, Middle and Senior Schools share the one campus that is also home to our boarders. A common vision shared by the Board of Directors, staff, students, parents and alumni is to prepare our young people for fulfilling lives in a global community. To further develop a sense of empathy and belonging in our fast-paced and changing world, we offer a school-wide programme of leadership and community service to all students. By way of example, a selection of current projects and charities that students actively support include volunteering and visiting nursing homes and primary schools, door knocks for Salvation Army and Red Cross, tree planting for the local council, and fund raising events to support local, national and international communities such as the Cambodia Kids Foundation.